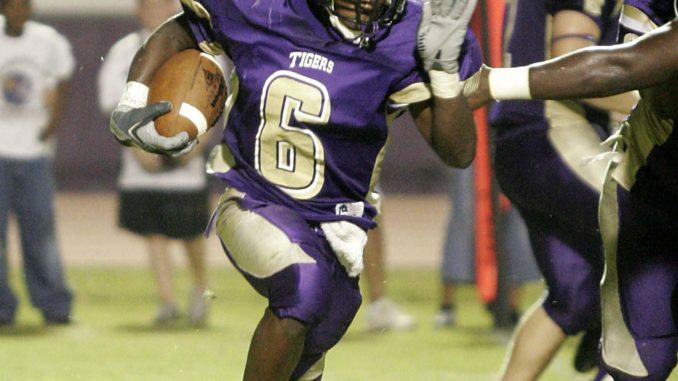 Hahnville will host the McDonogh 35 Roneagles tomorrow night in the first match up of the 2006 season. Last week Hahnville faced off against the Wildcats of St. James in the Ed Reed Jamboree held in Boutte.Despite sloppy play from the offensive and the defensive line, Hahnville still had a chance to win in the end, losing 16-14 on a 24-yard field goal from Wildcat kicker Juarelle Narcisse. There were glimpses from Hahnville’s young squad of what could be. Kick returner/runningback Ivory Washington provided fireworks late in the first half and midway through the second half of last week’s jamboree by running back two Wildcat kickoffs for touchdowns. The first return for a touchdown was nullified by a penalty and would have resulted in the game being tied or with Hahnville having a 1-point advantage at the half. Tiger wide receiver Laron Byrd also had a big game, including a 49-yard reception late in the second half that eventually led to an 11-yard touchdown catch on fourth and 9 that put Hahnville ahead 14-13 with less than three minutes remaining. Despite the big individual efforts, the Tigers will need to improve in a few areas to defeat a talented Roneagle team. Sporting players from all over New Orleans, the Roneagles have a strong club this year. Last year Hurricane Katrina scattered the Roneagles around the country and closed the school in the process. McDonogh 35 is looking to get back on track with a team that boasts Delvin Breaux, a defensive back that has committed to LSU for the 2007 season, and wide receiver in Lionel Breaux, a 6-1, 185 pound speedster who also returns kicks. Mistakes were frequent last week against the St. James Wildcats. Along with the penalties comes inexperience on the offensive line. All five starters on the offensive line are starters for the first time in their careers. Kickoff tomorrow night is at 7 p.m.